Man Who Sexually Assaulted Airline Passenger Convicted, Could Face Life In Prison It took a jury less than four hours of deliberation to convict a Detroit-area man of sexually assaulting a woman who had fallen asleep in the window seat next to him during an overnight flight. Prabhu Ramamoorthy, 35, was convicted on Thursday of sexually assaulting a sleeping passenger aboard a Spirit Airlines flight from Las Vegas to Detroit. He could face life in prison. Editor's note: This story contains graphic descriptions of sexual assault. It took a jury less than four hours of deliberation to convict a Detroit-area man of sexually assaulting a sleeping passenger onboard a Spirit Airlines flight. Prabhu Ramamoorthy, who was traveling alongside his wife at the time of the attack, was found guilty on Thursday of digitally penetrating a 22-year-old woman who had fallen asleep in the window seat next to him during an overnight flight from Las Vegas to Detroit. U.S. Attorney Matthew Schneider said in a statement that the sexual assault jolted the woman awake. That is when she found Ramamoorthy's hand down her unzipped pants and that her shirt had been undone, The Washington Post reported. The attack took place on a late-night flight that landed in Detroit on Jan. 3, and Ramamoorthy was taken into custody upon arrival. Ramamoorthy, who is from India, has been living in the U.S. on a work visa and was previously employed as a project manager at a technology group, the Post reported. He faces up to life in prison. Should he receive a more lenient sentence, he will be deported after serving his sentence, said Schneider. The 35-year-old's sentencing date is set for Dec. 12. According to CNN, Ramamoorthy said in a written statement that he was unaware of his actions because he had been in "deep sleep" after taking a pill. The Post reported that Ramamoorthy's wife later said the pill was "plain Tylenol." CNN also cites an interview with an FBI agent during which "Ramamoorthy said he 'might have' undone the woman's bra while playing with it, and that he had cupped her breasts over her clothes." And in a court filing, Ramamoorthy "indicated he unzipped her pants partway and put his finger into her pants and tried to fondle her," according to the news outlet. "The safety and security of all aircraft passengers is a priority for the FBI, our local and federal law enforcement partners, and airline carrier personnel," Timothy R. Slater, a special agent with the Detroit Divison of the FBI, said in the Thursday statement. "The federal conviction of Prabhu Ramamoorthy demonstrates the FBI's commitment to hold individuals accountable for their actions on an aircraft, especially those who commit such a heinous crime." "The FBI says reports of sexual assaults on commercial airline flights are on the rise — from 38 in 2014 to 63 in 2017. 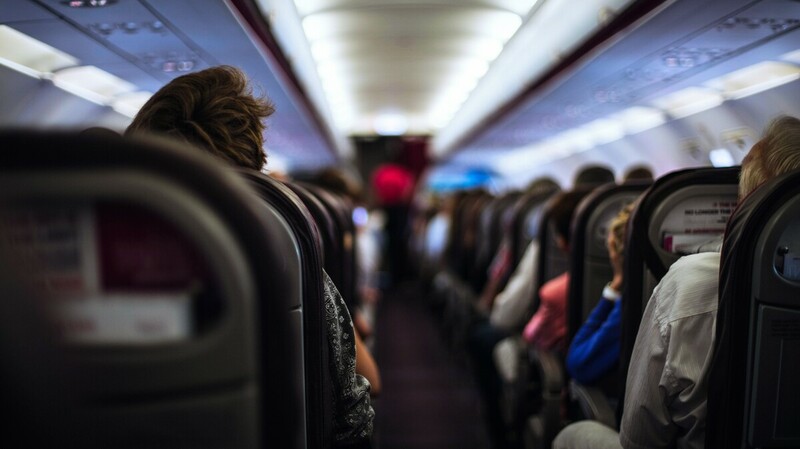 Sexual assaults are vastly underreported generally and may be even more so on planes. "But the incidents happen much more frequently, according to a recent survey by the Association of Flight Attendants. About 1 in 5 flight attendants say they have witnessed a passenger being sexually assaulted or had an assault reported to them. And nearly 1 in 5 flight attendants themselves say they've been sexually assaulted, and 70 percent say they've been sexually harassed in the air."